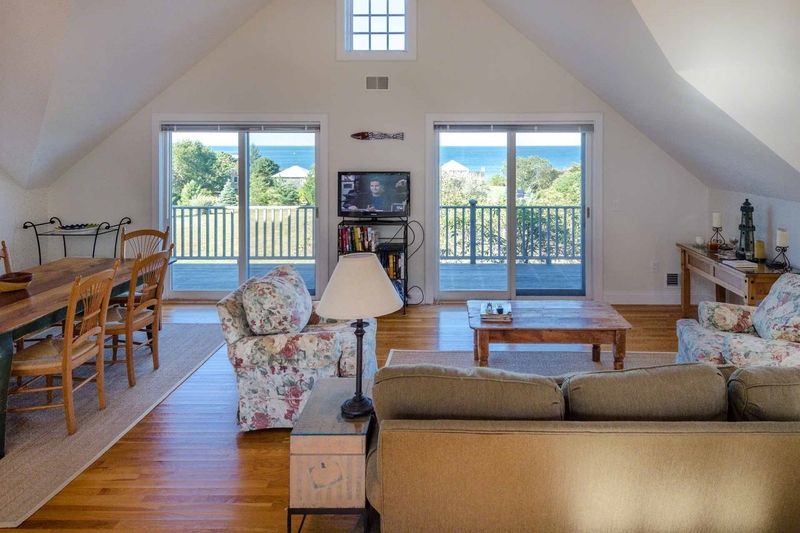 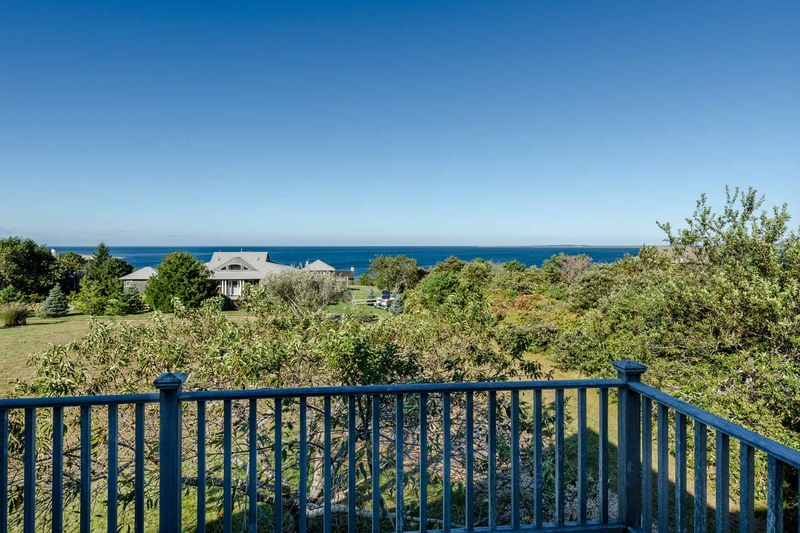 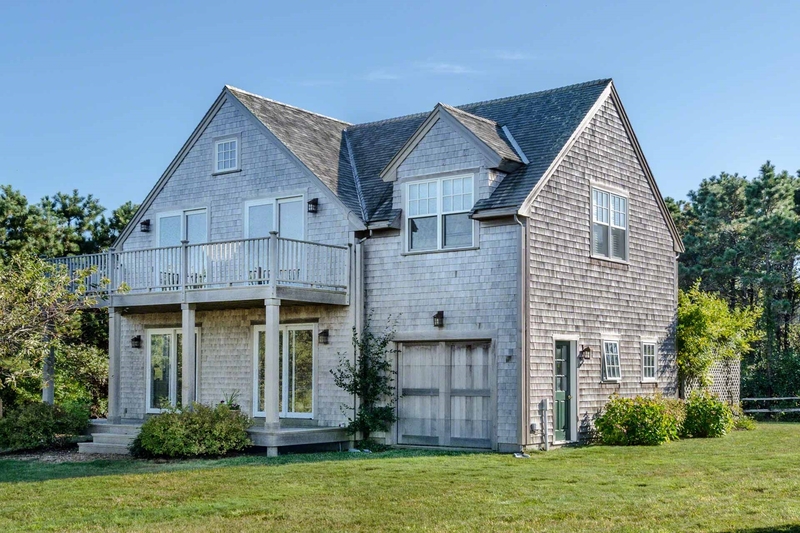 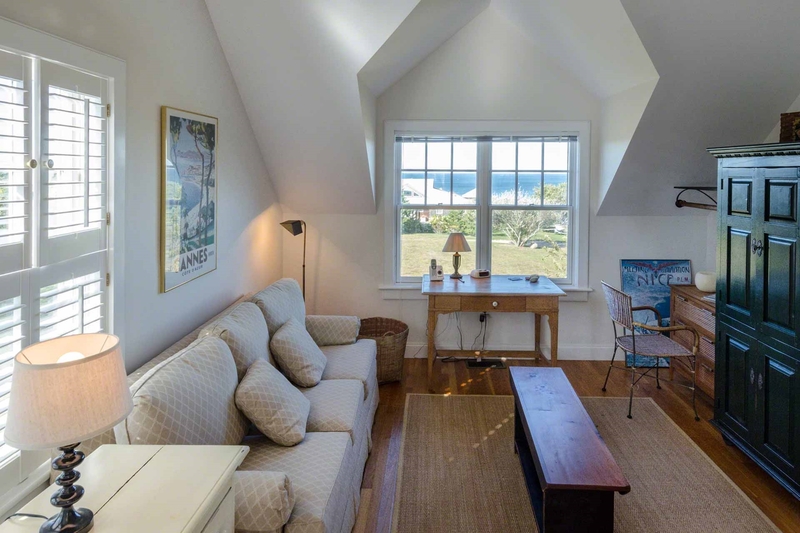 Point B Exclusive - This Chappy beach house enjoys Edgartown Harbor water views out to Cape Pogue from its perch on Manaca Hill. 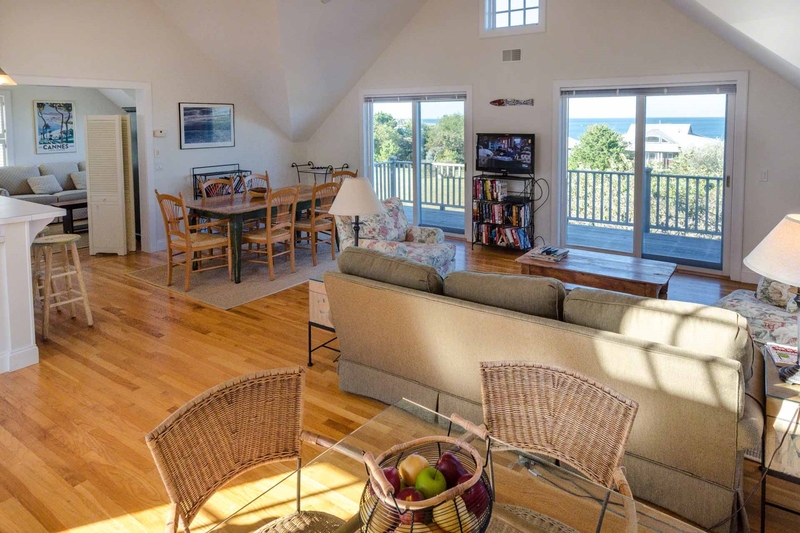 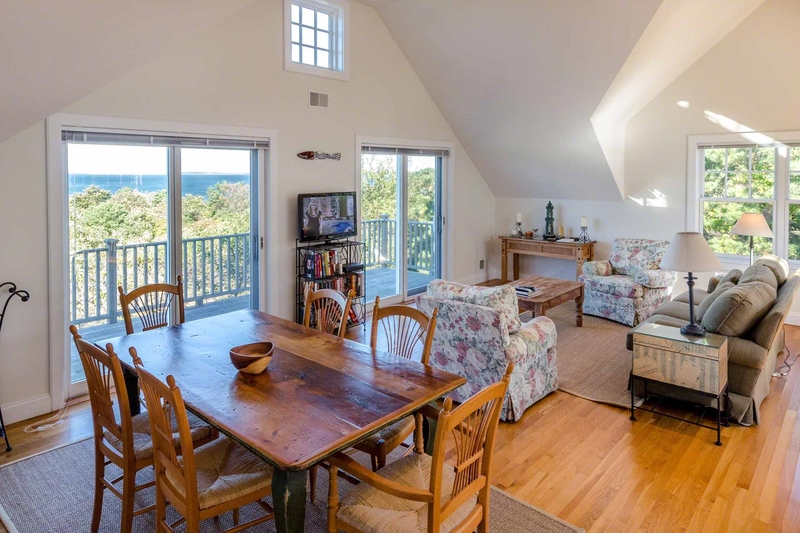 The Manaca Hill Beach Getaway is designed to enjoy the water views from its second story Great Room with open Living and Dining spaces, vaulted ceiling, Gourmet Kitchen, and sliding doors that open to the water-facing deck. 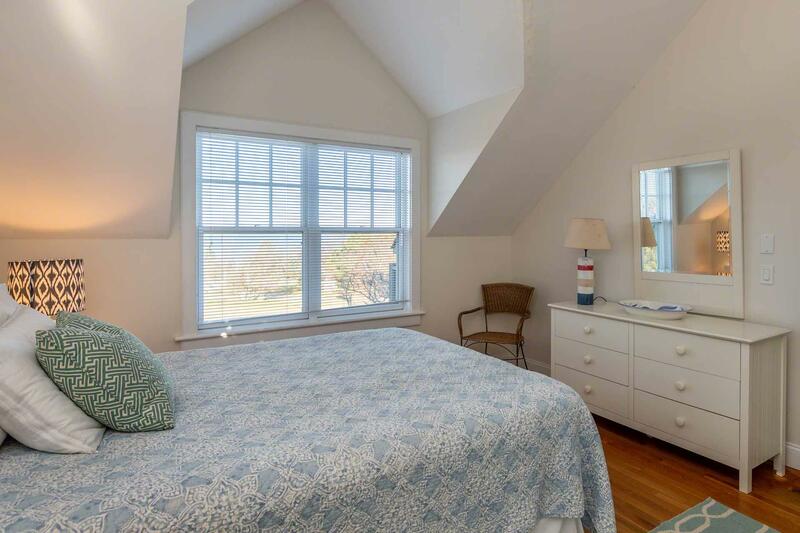 The Master Bedroom is on the second floor with full bathroom with tub and shower. 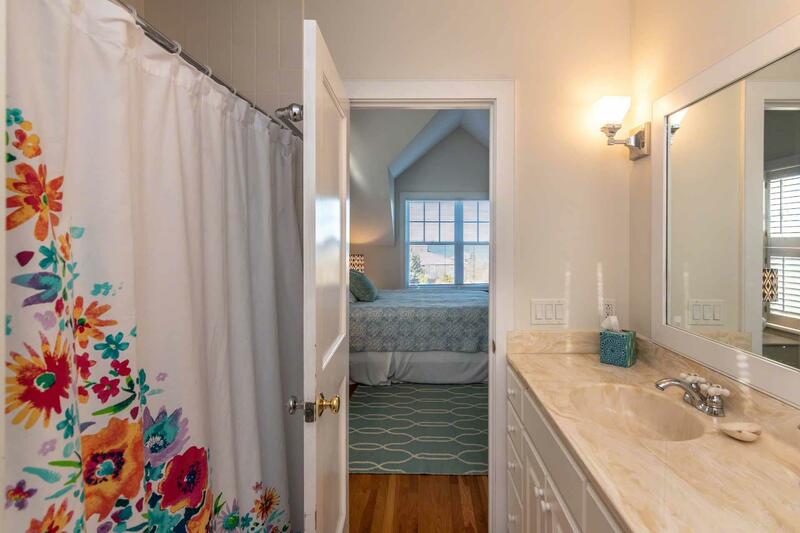 The other bedroom on the first floor, shares a full bath with tub and shower. 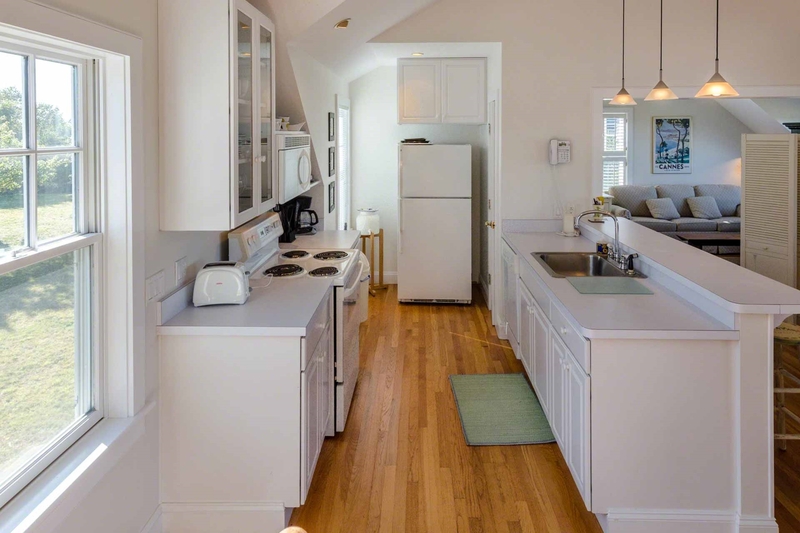 There is also a first floor laundry room. 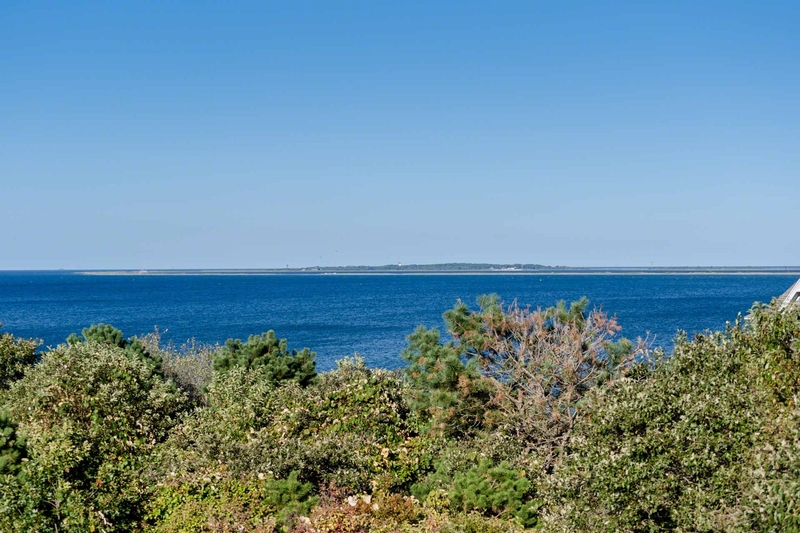 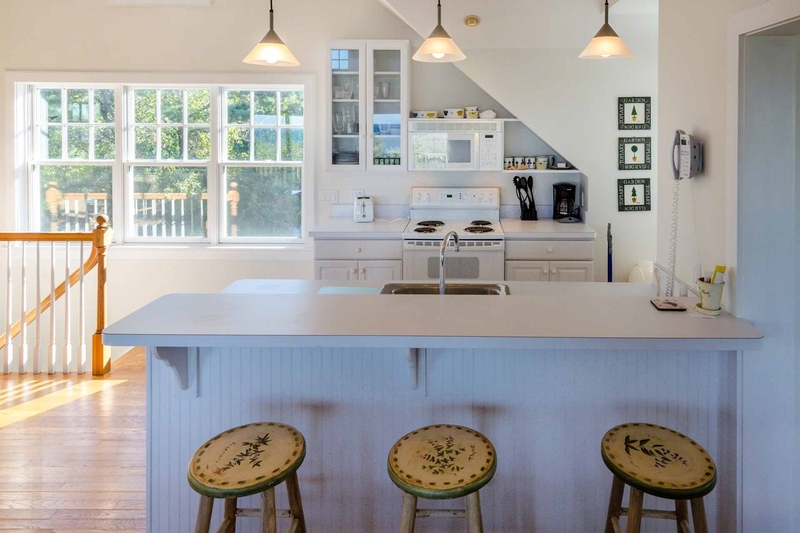 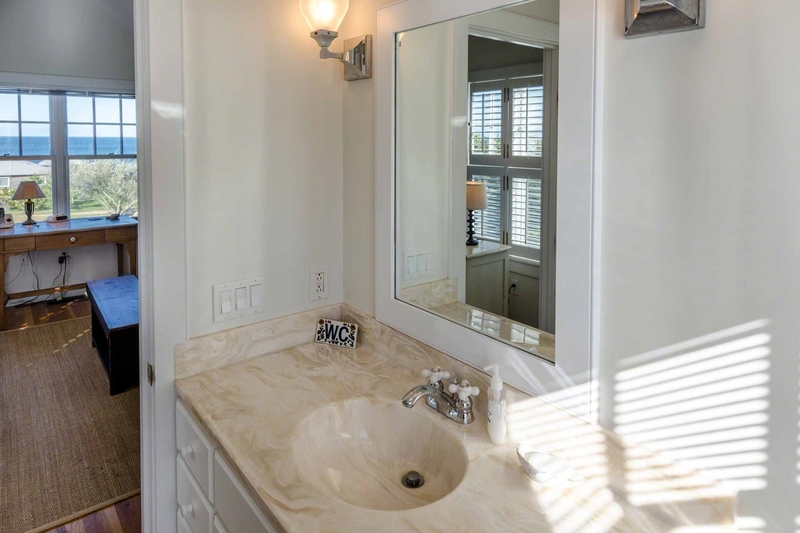 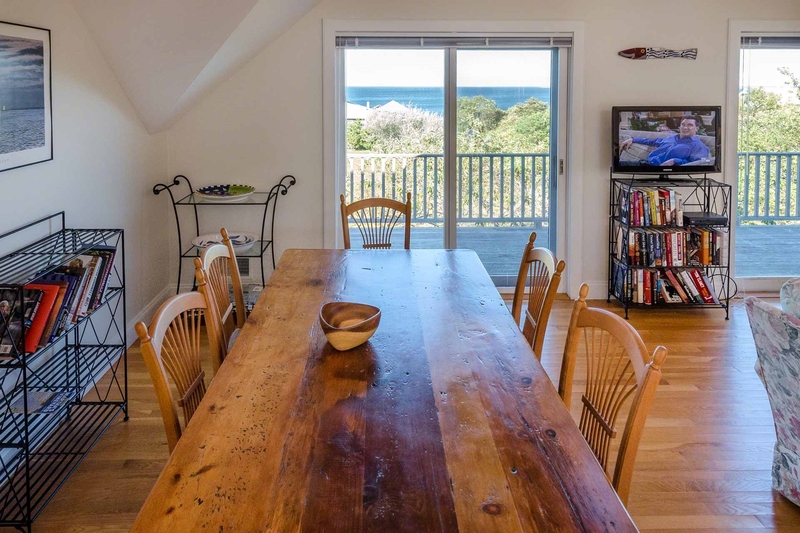 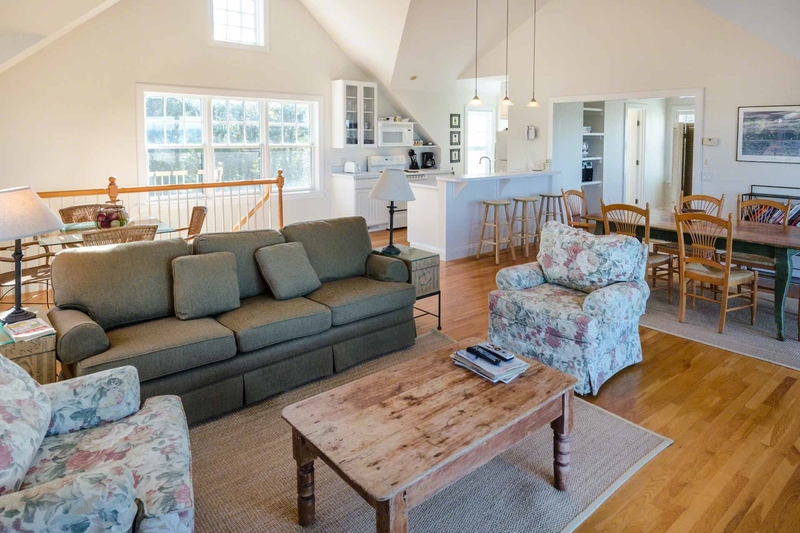 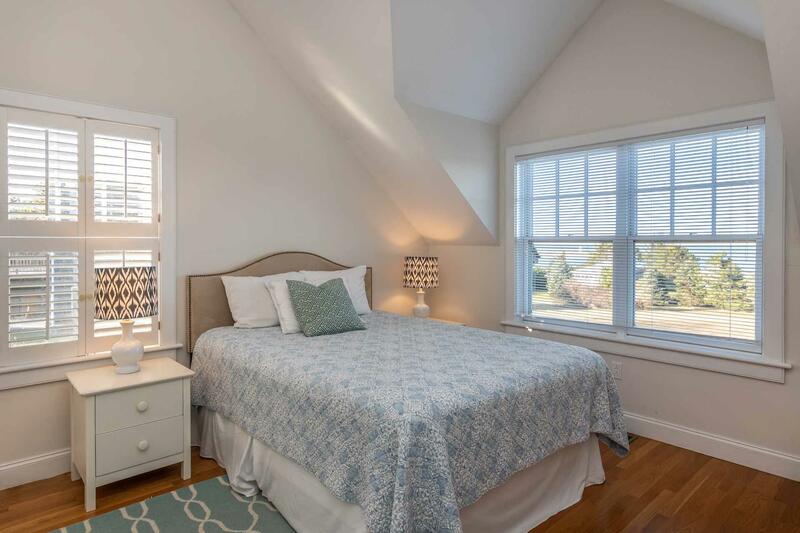 The Beach Getaway has large front and side yards, nicely manicured grounds, and is just a short walk away from the Chappy ferry with its easy access to downtown Edgartown and deeded private access to the outer harbor beach.